Amid talks of possible reconciliation, both the minister of transport, Chibuike Amaechi and senator Magnus Abe factions are still embroiled in legal battles that could possibly lead to implosion of the party in the weeks ahead. Scores of APC members from the two factions had on Thursday waited anxiously for several hours in Port Harcourt for the reconciliation committee led by former Osun State governor, Rauf Aregbesola, to hear their grouse, but to no avail. The factions left the venue of the planned meeting to return to their trenches to continue their legal battles. On Wednesday, the appellate court sitting in Port Harcourt dismissed three appeals filed by the pro-Amaechi State executive led by Flag-Amachree faction, challenging the judgment of Justice Chinwendu Nwogu of the Rivers State High Court, which nullified the candidature of Tonye Cole as APC governorship candidate; all senatorial, House of Representatives and House of Assembly primaries, in addition to elections of ward executives, local government executives and state executive committee. Chairman of the Court of Appeal panel, Justice Abubakar Yahaya, struck out the application for joinder by Flag-Amachree executive, Mr. Cole and 48 other candidates of APC that emerged through the indirect primaries. It was dismissed on the ground that they filed their appeal outside the terms provided by the Constitution, that an appeal ought to be filed within 14 days upon delivery of judgment by the lower court. Justice Yahaya also declared the appeal by the Amaechi faction against the Justice Chinwendu Nwogu of the Lower Court judgment in a suit by Ibrahim Umar and 22 others who are of the Abe’s faction, challenging the APC congresses, as lacking merit. In addition, he stated that the faction failed to seek leave of court before appealing against the judgment owing to the fact that it was a consent judgment. 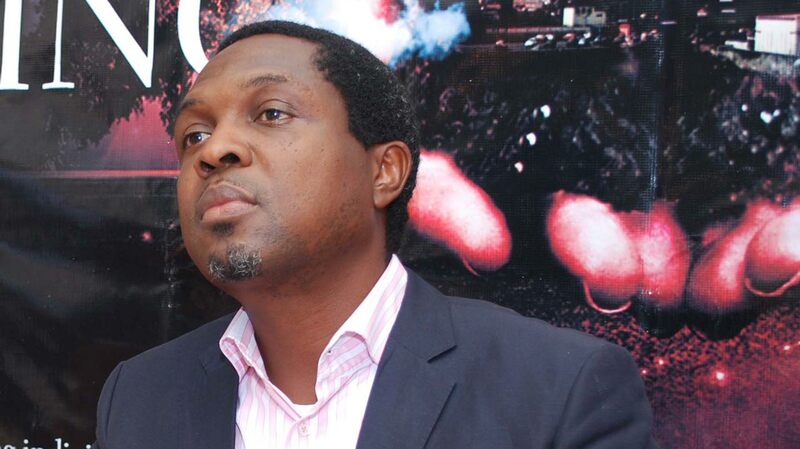 The implication is that the judgment delivered by High Court of Rivers State on October 10, 2018 remains valid, subsisting and inviolable.But the Tonye Cole campaign organisation director general, Chidi Lloyd, in his reaction, said despite the setbacks at the appellate court, the APC still has three subsisting appeals before the Court of Appeal all aimed at upturning the lower court’s nullification of the congresses and primaries. Lloyd stressed that it was pertinent to point out that Cole and the other candidates on the one hand, as well as the party executives led by Flag-Amachree, who were not parties in the matter before justice Nwogu of the Port Harcourt High Court were mentioned in judgment. Lloyd said the APC is hinging its fate on another suit CA/196/ 2018 and another, challenging representation by counsel and the jurisdiction of the court to enter the matter.“In all therefore, appeals by the APC against the suit, still subsist and not determined,” he said. The appellate court’s dismissal of the suit by Cole and other APC candidates was greeted with wild jubilation in Rivers State government circles. Some State lawmakers, commissioners and sympathisers of Governor Wike, took to the social media ecstatically proclaiming “it is over,” meaning the fate of the APC is sealed. There has been apprehension that the 2019 elections will be imperilled in the State following incessant claim by Governor Nyesom Wike that the Federal Government intends to use State apparatus to subvert the electoral process in favour of APC candidates. 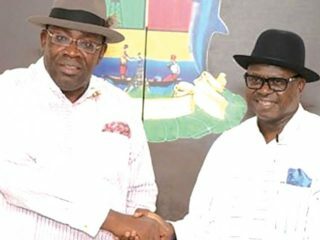 It will be recalled that violent gunmen allegedly empowered by the police with unrestrained impunity had attacked voters at the Port Harcourt constituency Three rerun election in August. It is wildly presumed that the exclusion of the APC, which is perceived as political archenemy of both Wike and the Peoples Democratic Party (PDP) from the 2018 elections will defuse the already heated political tension in Rivers State. Meanwhile, a Federal High Court in Port Harcourt presided over by Justice J.K Omotosho will on January 7 2019 deliver judgment in a suit filed by the PDP in Rivers state seeking an order of court to restrain INEC from fielding candidates of the APC in the general elections. 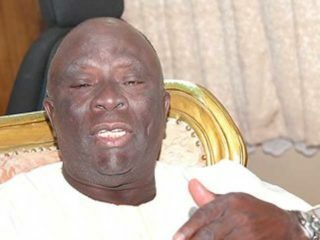 Counsel to the PDP, Emmanuel Okala (SAN) said sections 8 sub 1 of the Electoral Act and section 285 sub section 14C states that a political party has the right to challenge the candidature of other political parties if their emergence lacks compliance with the electoral laws. 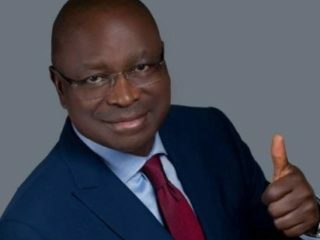 Another suit reserved for judgment on January 7 2019 is a matter brought by Senator Abe and 42 others seeking a court declaration that they be recognised as the authentic candidates of APC for the 2019 elections having participated in the direct primaries recommended by the National Executive Committee of the APC. 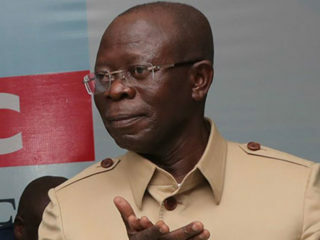 More legal pressure is being exerted on the APC through the planned arraignment of Cole campaign organisation’s director, Lloyd, for attempted murder.A High Court in Port Harcourt presided over by Justice Chinwendu Nwogu, had on December 6, issued a bench warrant directing the State Commissioner of Police to arrest Lloyd wherever he is found and bring him to court to take his plea for fresh murder charges brought against him by the Rivers State government. Lloyd’s murder charge stems from the fracas on the floor of the State Legislature in 2013 where he attacked his colleague, Michael Chinda, who alongside some five others attempted to oust the House leadership in a bid to pave way for the impeachment of then Governor Chibuike Amaechi. But on May 27 2014, a Port Harcourt High Court struck out the attempted murder case filed by the Police against Lloyd due to the decision of the then State Attorney-General and Commissioner of Justice, to discontinue with the case due to the refusal of the Police to handover the case file. Similarly, the State government has filed fresh murder charges against APC Chairman, Flag-Amachree who is expected to be arraigned on January 24, 2018 to take his plea. The Rivers State Government in suit PH/1664/CR/2016, said Flag-Amachree was culpable in the death of Iminabo Dokubo, and attempted murder of Ipalibo Jackson during the last general election in Buguma in Asari Toru local government Area of the state. At a time when political parties ought to be engaged in intense electioneering campaign, the APC is still mired in internal wrangling that might proof self- destructive. The internal rift is most likely to cause implosion in the party. Already, one of the governorship aspirants, Dumo Lulu-Briggs, who was displeased over the outcome of the primaries, has defected to the Accord Party where is he now the governorship candidate. The decimation process is bound to continue. “The facts are known, we took steps to protect the party from sliding into a personal estate, if the PDP in Rivers State is owned by a strong man and our leader in the APC by default becomes a feudal lord, then our state is doomed. I have nothing personal to lose or gain, but we have all to lose if in a democracy we allow the aberration of overlords, hence my decision. While we were together I enjoyed your comradeship and so find it hard to leave, yet, men of conscience would when necessary overlook personal sentiments and emotions” he said. Lulu-Briggs who is believed to enjoy the support of some power brokers in Abuja, has hinted that he was still disposed to maintain his friendship and possibly realign if the need be with anyone willing in the APC. Concerned that the APC might not come out of its internal strife unscathed, The Guardian gathered that key actions on the both side of the divide in the crisis plaguing the party are already reaching out to Lulu-Briggs for possible alignment to wrest power from Governor Wike and the PDP. It is not clear if Lulu-Briggs will want to coalesce with those who denied him the APC ticket. Some APC members of both sides of the divide, whose political future has been jeopardised by crisis in the party, have bemoaned their respective leaders for sowing the seeds of discord without the possibility of rapprochement. They pointed out that the series of pending court cases doesn’t bode well when it comes to burying the hatchet.